Our goal at Danville Gentle Dentistry is to contribute to the health and well being of all who seek our care and to provide them with the finest quality work in a gentle, professional setting. This practice is devoted to providing service, integrity and excellence. We know the first step toward a beautiful smile begins with selecting a dentist that you can rely on. Leveraging today's latest technology, Danville dentist, Dr. Mark Smith, can create results that change how you look and feel. Whether you need a routine checkup, are in pain, or seeking a rejuvenated smile, our dental practice offers a wide variety of procedures to uniquely fit your needs. In addition, our friendly staff ensures your visit to the dentist will be affordable and comfortable. 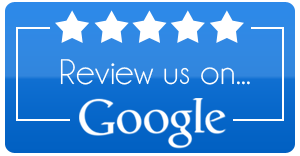 If you are searching for a family dentist or cosmetic dentist in Danville – look no further. Contact us today at (434) 792-2845 with any questions or to schedule an appointment.